Should I Buy Land As Investment? Finding land for sale is always a balancing act. You must find the right time to do so, and there are many variables at play that will affect whether or not it’s a good time to buy. So, is now a good time to buy land for sale? Should you wait? What’s the forecast for 2019? 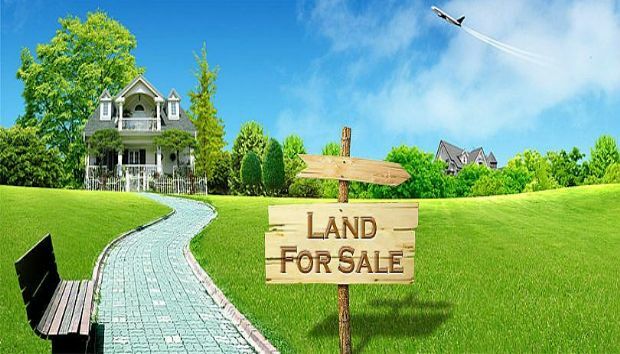 Before we discuss whether or not you need to get in on buying land for sale immediately, we need to discuss the nature of Perth’s real estate market and how it moves. Like many other areas of Australia, Perth’s real estate market is cyclical. This is actually true for most of the world – Perth’s cycle is largely driven by mining activity, although there are other forces at play, including tourism, agriculture, and the like. Currently, Perth’s real estate market is on the upswing. It’s recovering from the downturn in late 2017 and early 2018. However, not all segments have caught up just yet. The market is hotter for established homes than it is for new land sales. This is actually a good thing for those seeking land for sale, because it means there’s less demand than there is supply, which indicates that it remains a buyer’s market, rather than a seller’s market. So, what does it mean that Perth still enjoys a buyer’s market when it comes to new land sales? What is the difference between a buyer’s market and a seller’s market? Seller’s Market – In a seller’s market, there is more demand for land than there is supply. This allows sellers to set higher prices than would otherwise be possible. In some cases, buyers may even vie with one another to purchase land, driving the price higher as they go. Buyer’s Market – A buyer’s market is the opposite of the situation above. In this scenario, there is more supply than demand, meaning that sellers are often forced to sell at lower prices than they would prefer, sometimes even below market value depending on how badly they need to move the property. At the time of this writing, Perth’s housing market is moving upward, changing from a buyer’s market to more of a seller’s market. However, not all segments are at the same point on that upswing. For instance, in an article published in Western Suburbs Weekly in late October 2018, Chief executive Allison Hailes of the Urban Development Institute explained that while there was positive activity in the top and middle sectors of established housing (existing homes), new land sales were still sluggish. However, because the rest of the market was moving upward, she stated that it would only be a matter of time before new land sales picked up speed, as well. Reinforcing that is a report from BIS Economics that indicates Australian property rates in general will continue falling slightly over the next few years with an expected decline of about 3 to 5 per cent by the end of the cycle. Another factor that bears on Australia’s real estate market is the tightening of lending criteria. In short, new rules and regulations have made it more challenging for some borrowers to obtain loans. This is particularly true when it comes to interest-only loans. Coupled with the significant existing supply of properties, it means that sales are slower than they might otherwise be. So, when will land values rise once more? When might you expect to see the change from buyer’s market to seller’s market? The shift will occur slowly and might not impact 2019 transactions at all. You should definitely look for it to begin in 2020 and will most likely be in full swing by 2021. Is now the time for you to be snapping up land for sale in and around Perth? Yes, now is the time. And, while the buyer’s market is predicted to linger for a little while, the ongoing upward trajectory of the existing housing market will inevitably pull new land sales up as well. Even the best predictions are just that – guesses based on expertise and knowledge, but still guesses. There is always the possibility that trends will accelerate and it will become a seller’s market in 2020, or even in late 2019. However, do not mistake that for urgency. There is ample time to make sound, reasoned decisions based on due diligence. So, how should you move forward? The answer is: with confidence. It’s a buyer’s market, and that means the power is in your hands. Take your time and research land for sale, land estates, and other properties around Perth, as well as other areas of Australia. Once you find the perfect parcel, do not be afraid to negotiate. Again, the power is in your hands, and sellers will be hard-pressed to be too picky given the fact that there is an oversupply of available properties. Ultimately, now is a great time to snap up land for sale. It is currently a buyer’s market, and the cyclical shift to seller’s market is not expected to occur for some time, particularly for new land sales, rather than existing homes. However, do not let that make you complacent. While it remains a buyer’s market, it’s important for you to begin the process of finding the ideal land for sale now, so that you can complete your other due diligence – checking topography, researching amenities, checking into future developments within an estate, and other vital factors essential to making an informed decision. « How Much Life Insurance Do You Need?